Detailed Description: Thomas & Betts Non Slip Wiring duct cover in gray color is made of rigid PVC for added durability and flexibility. 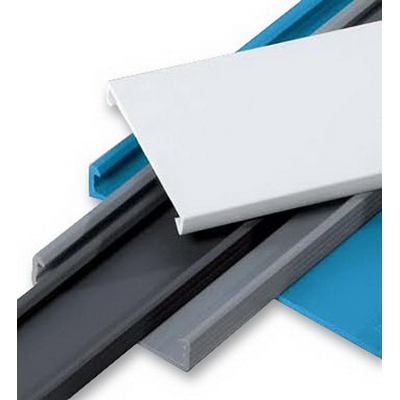 It is ideally used on solid wall/slotted/narrow wiring duct which is of Ty-Duct® type. Wiring duct cover is UL listed, CSA/CE certified and RoHS compliant.